I'm really enjoying this week. The marbled eggs and tags all finished and dried. For a first try I don't think they turned out too bad. It's called crocheted beanies but I think slouchies would be a better description. Little Red went to Martin Mere with Granny and Grandad. you can buy the ducks and decorate them yourself. You then take your decorated duck back and put it in the race. a plain one home for us to marble :-). 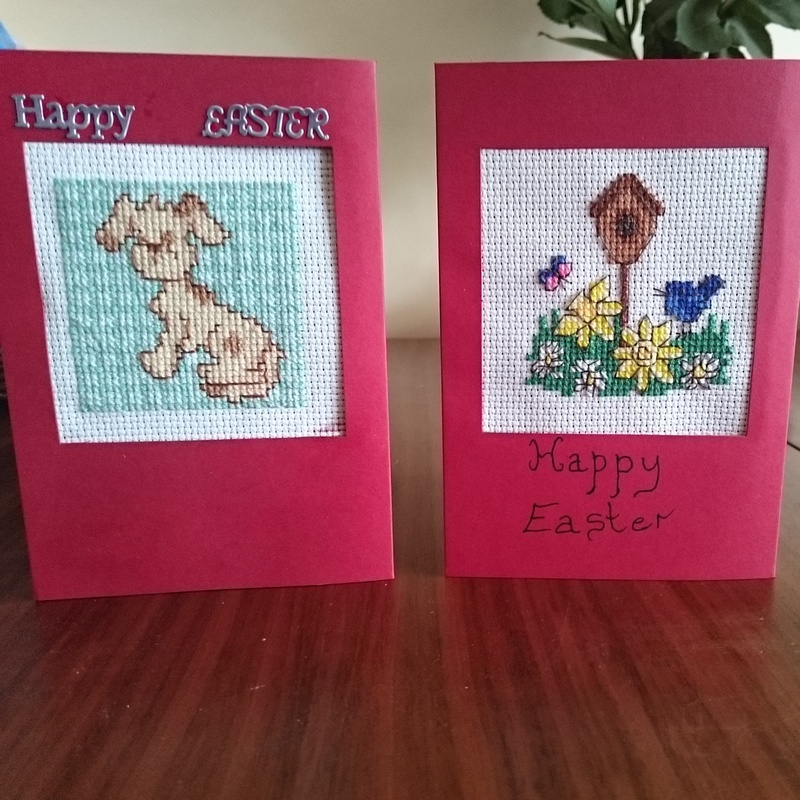 and the one on the right was for my mum and dad. I'm a bit late. How could I forget about you anyway!